The Millers continued to make the most of their four game home stand to take their third victory of the season. 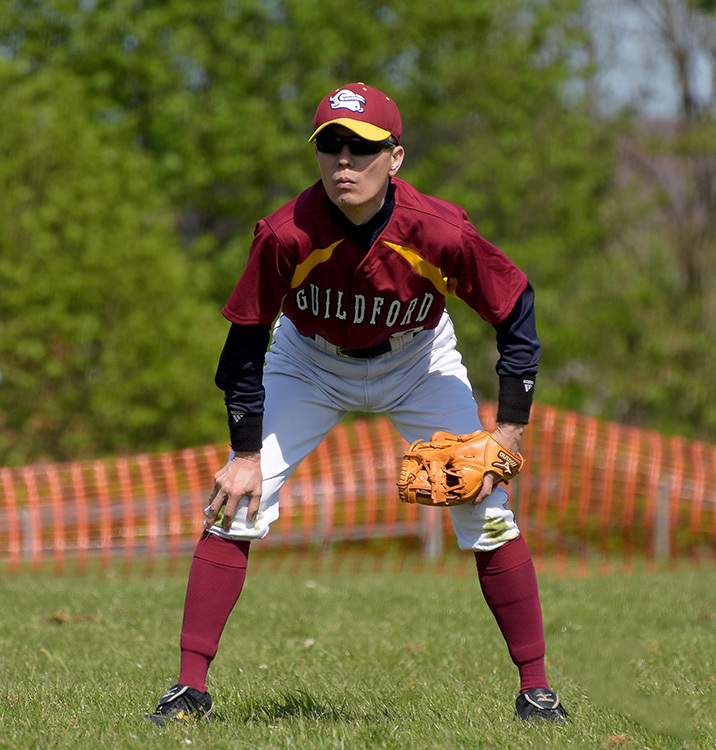 This time, the Richmond Squires went away with the loss after a seven inning mercy rule win for Guildford. Tetsuro Shinkawa was given the ball to pitch for the Millers with debutant catcher Matt Friend calling the game. 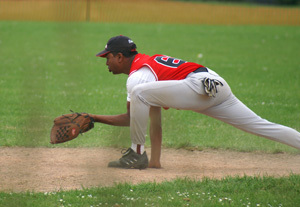 The experienced Shinkawa showed his control by allowing just two hits into the outfield and two runs in the first three innings, striking out five in the process. 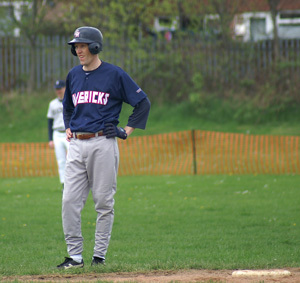 T he Millers broke out in the bottom of the third by sending thirteen players to the plate. Five runs scored before the first out with the Richmond pitcher losing some control by giving up three walks plus two singles to Richard King and Will Frawley. The home team continued the strong inning by plating a further four giving the home team a comfortable advantage 13-2 at the end of the third. 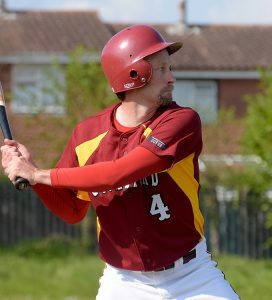 The fourth inning had a pitching change for the Squires with Dom replacing Tom but Guildford still worked the walks and hit their pitches. Three runs scored and it could have been more without some quick thinking by the Richmond first baseman Paul Tiley to take the force-out at home plate. Shinkawa lost a little of his dominance in the fifth by hitting a couple of batters with two outs and allowed a couple of runs to score. 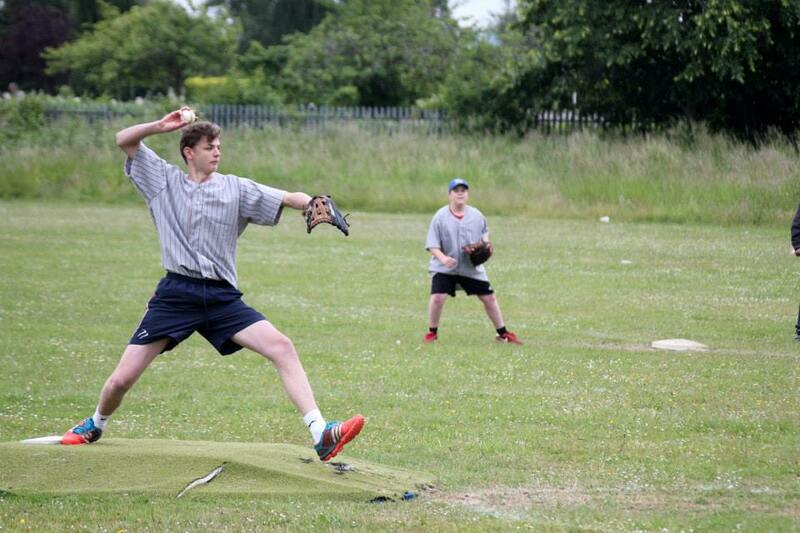 Despite this stellar performance by holding the opposition to four runs over five innings, Ben Stobart replaced him on the mound to gain more experience pitching. With a sizeable lead, Stobart had to hold the Squires to enable the mercy win rule. It didn’t help matters with the Richmond centre fielder Hiro smashing a triple off him but thankfully the lead held. This was thanks to good batting at the bottom of the inning from a single from Friend and a ringing double from third baseman Jamie Hanley. 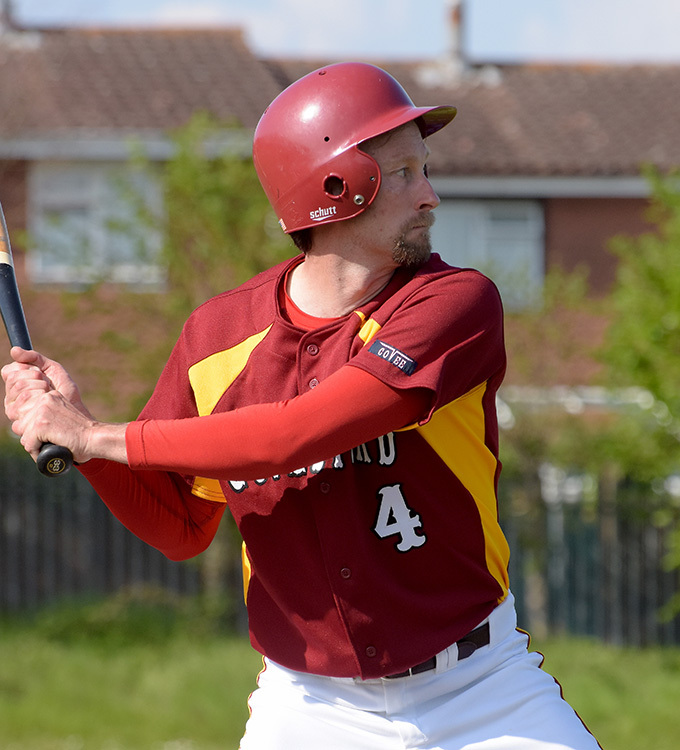 Three more outs were needed with the game poised with a 14 run lead to Guildford until on a 3-0 count, the Squires second baseman Joel crushed a fastball deep over the left field fence for a solo home run. 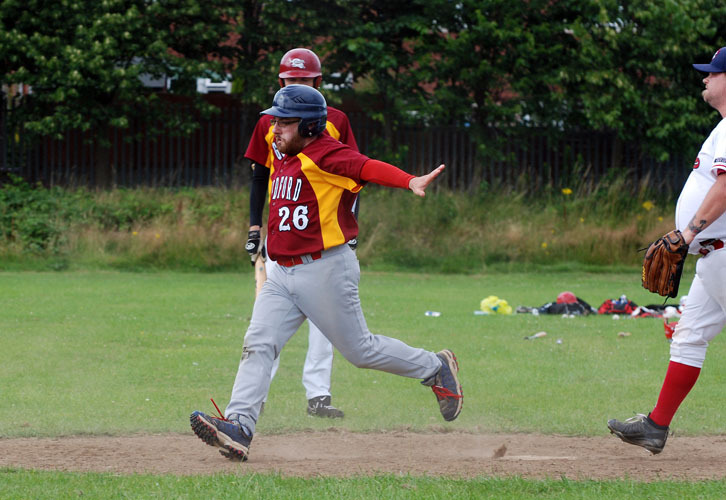 The Millers defence held fast to keep more runs off the visitors scorecard to take the win 21-8 in seven innings. Shinkawa takes the win and the Millers strengthen their position at the top of Pool D.
The Kent Mariners visit Christ’s College next Sunday for the first of three games between the two sides this season. This will see a top of the table clash. First pitch midday.